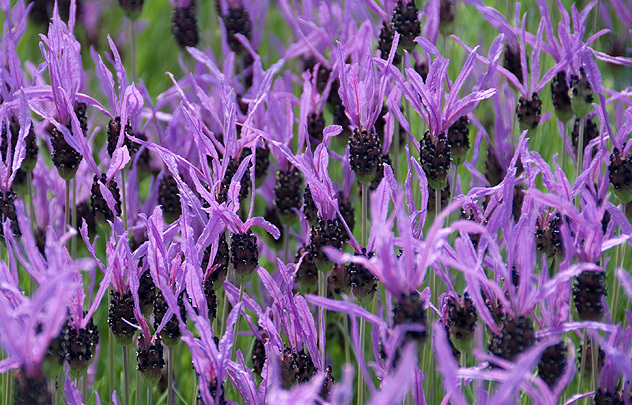 A beautiful long ‘eared’ purple (rather than the magenta of pedunculata) lavender. One of our own hand pollinated hybrids. A cross between pedunculata and atlantica. 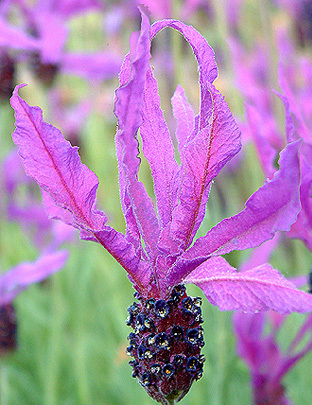 The bracts are flame-like, licking the air, flickering in a summer breeze. Narrow pale green foliage. Bred and introduced by Downderry 2009.